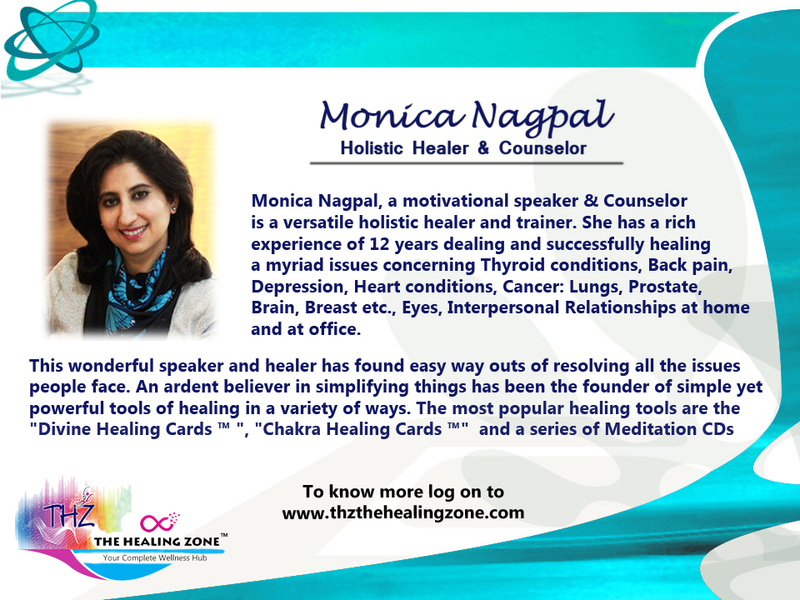 Dr Monica Nagpal is a holistic healer & teacher, a motivational speaker and anIndustrial Counsellor who draws inspiration from the Source – The Creator of All That Is and works as a divine conduit. Dr Monica Nagpal often called as the Miracle Lady is a healer of international repute. She is an intuitive, a clairvoyant and a wonderful psychic. Monica is a gifted healer and due to her varied experience of working with thousands of clients worldwide, she has emerged and evolved into a awesome counsellor and inspiration for many as she has mastered how to stay unaffected by the blocks life presented. She is a winner and champion in many ways. People who meet her get touched by her constantly encouraging and joyous presence.